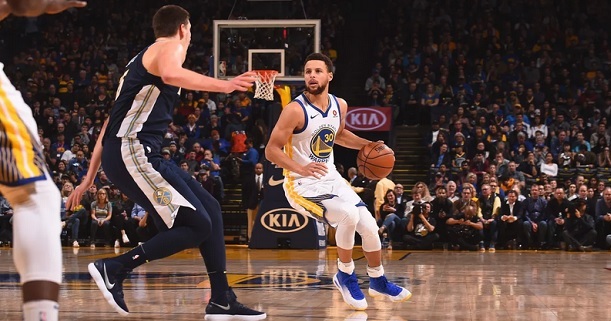 The Golden State Warriors will host the Denver Nuggets in one of the most important games left to be played in this regular season, with the meeting set to potentially decide the first seeded team in the Western Conference. The Warriors (52-24, 27-11 home) have not been that good over the past few weeks, as the two time reigning champions are obviously bored with the regular season, and are waiting for the playoffs. There have been quite a few bad losses for the Warriors during these last few weeks, but on the other hand Golden State always turned up for the big games (maybe except for a game in San Antonio, which wasn`t necessarily a big game). Golden State will enter this game having won 3 of their last 4. The Nuggets (51-25, 20-18 away) are just one game behind the Warriors in the standings, but the visitors have not been able at any point to take the lead in the last month or so. The Nuggets have not been able to take advantage anytime the Warriors have stumbled. In fact, the Nuggets enter this game in pretty bad form, having lost 3 of their last 5 matches. Bet on Warriors v Nuggets and claim your 100% (120 Eur) welcome bonus at LSbet! Team news: Iguodala is questionable for the Warriors, but otherwise the hosts are fully healthy. The Nuggets are also fully healthy, the only questionmark being Murray (he`s listed as probable and expected to play). If Iguodala ends up missing, it will be a blow for the Warriors, but otherwise they are in a rare position to be fully healthy, so we will see them close to their best. And Iggy still has a pretty good chance to play as well. Listen, the Warriors are going at cruise speed in this end of the season, trying to avoid injuries while also struggling to find any kind of motivation. But in these big games, when motivation exists, we have seen the real Golden State – which is still and by far the best team in basketball. Only in the last few weeks they beat the Nuggets, the Rockets, the Thunder or the Sixers, despite losing some games to some of the worst teams in the league. Three weeks ago the Warriors were hosting the Nuggets on the back of a bad run of form, while the Nuggets were playing well, and the Warriors mopped the floor with Denver. This time, the Nuggets are actually in pretty bad form. Denver is not playing well recently and they also are not the best road team. Their strength lies at home, where Denver’s altitude gives them a massive boost. Those who follow Golden State know this is the kind of game the Warriors get up for. They can virtually secure the No.1 seed tonight, so they will go hard after it. At home, with a healthy roster and with the Nuggets struggling a bit, you can see the Warriors winning this by 10+ (just like they did in the previous two meetings this year). My tip will be Golden State to cover the -8 (asian) handicap. Prediction: Golden State Warriors – Denver Nuggets 117 – 101.